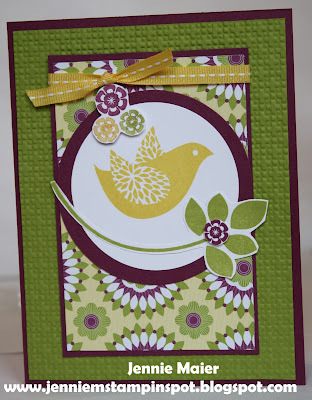 I saw this card by Liza Martz, and thought it's a great way to use up the soon to retire Pocketful of Posies DSP. I also used the soon to retire stamp set, Perfect Words. And of course the 1 1/4 inch & 1 3/8 inch square punches, the corner rounder punches, the Scallop Edge border punch and the Modern Label punches. I'm using another set that's going to retire on Thursday-Season of Friendship. 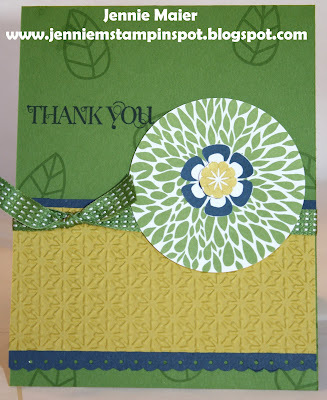 And I paired it with retiring In-Colors and some Pocketful of Posies DSP. I used the Stamping 411 Sketch#257 here, and the Splitcoast Color Challenge#376 here. I used the MojoMonday Sketch#242 here for this card. 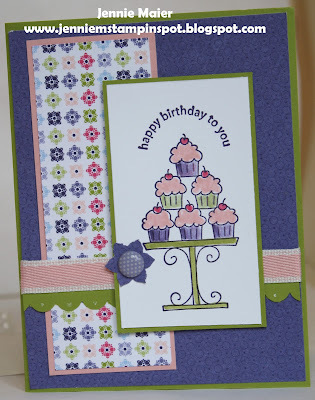 I also used the retiring stamp set, Crazy for Cupcakes and the retiring Hostess DSP, Cheerful Treat DSP. More birthday cards. 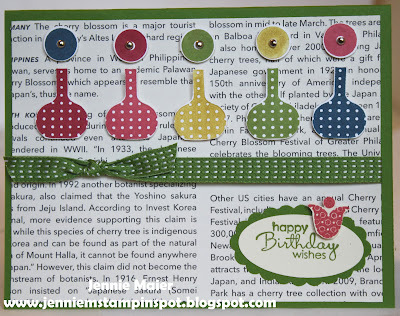 This one again uses a retiring stamp set, On Your Birthday (the greeting). 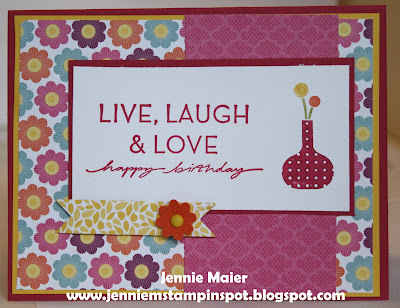 I also used the new stamp set, Bright Blossoms for the vase & flowers. And the DSP is new too, Floral District DSP. I love all the patterns in this one! I also used the new Bitty Banners Framelits on the Daffodil piece of DSP. 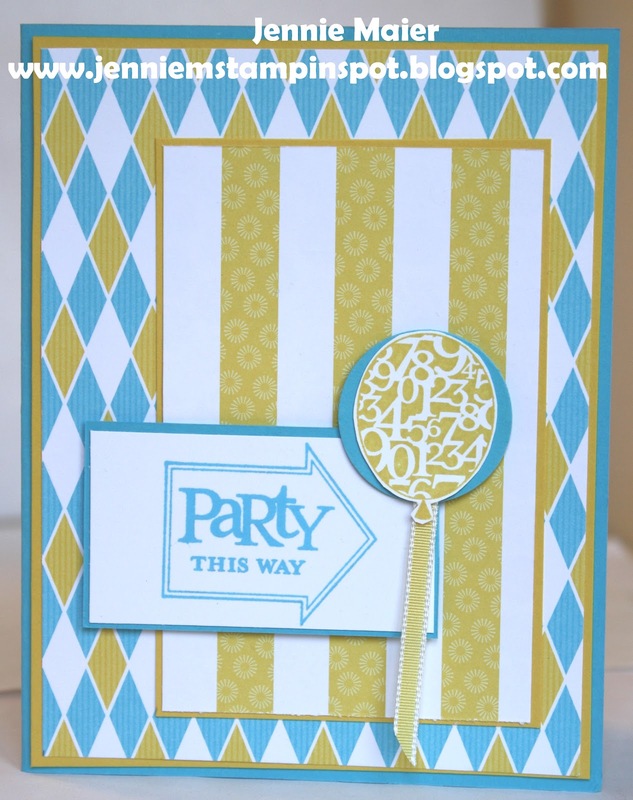 I need some birthday cards and wanted to use one of my favorite retiring birthday sets-Happiest Birthday Wishes. I also used Berry Blossoms DSP. 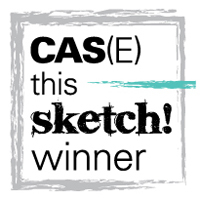 The Splitcoast Sketch Challenge#386 here, gave me the layout. I used the Stamping 411 Sketch#256 here for this card. It's for my nephew's birthday this week. 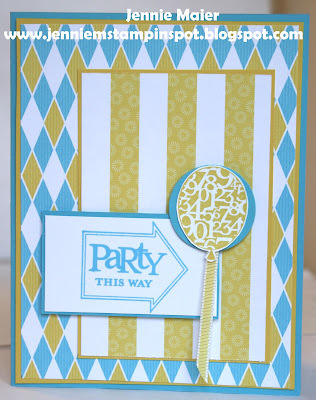 I'm trying to use products that are retiring, so I used the Party This Way stamp set with the Big Top Birthday DSP. 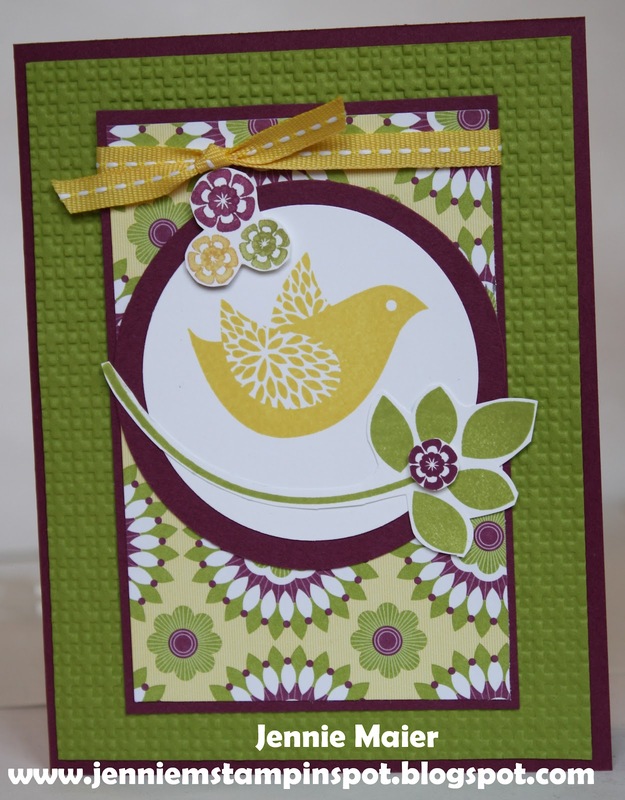 I used the Clean & Simple Stamping FTL#191 here for this card. 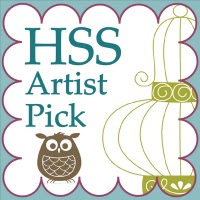 I used some Flirtatious Specialty DSP and the stamp set, Short & Sweet, both retiring at the end of May. 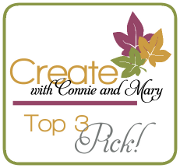 I also used the Bitty Banners Framelits which are coming in the new catalog. 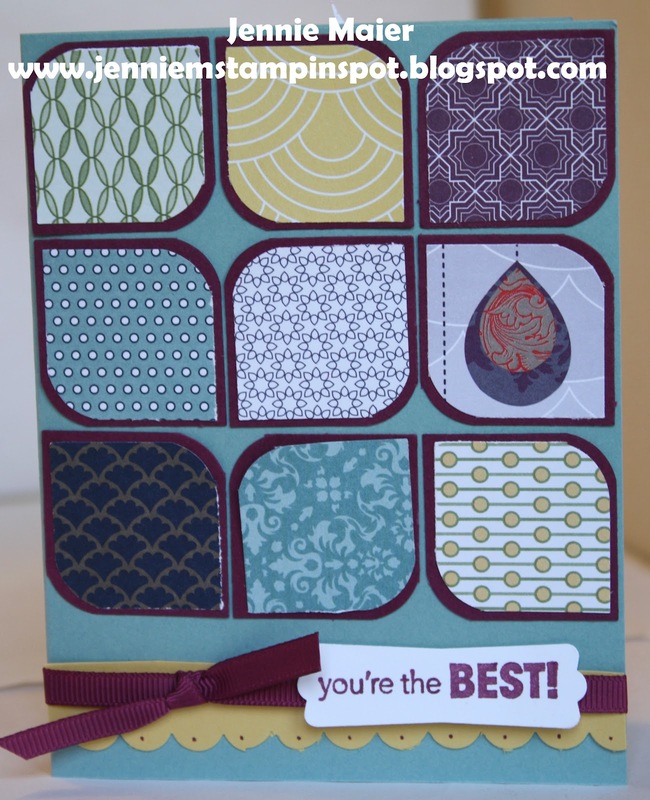 I'm feeling the creative juices so I made this card with some retiring products. 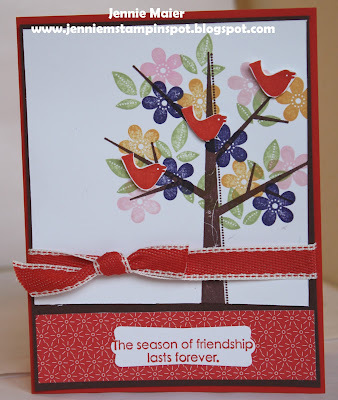 I used Poppy Parade, some Pocketful of Posies DSP, and the stamp sets Triple Treat Flower and Trendy Trees. And the 5-Petal flower punch is retiring too! This card features the new 2012-2014 In-Colors: Raspberry Ripple, Primrose Petals, Summer Starfruit, Gumball Green and Midnight Muse. Also new, the 3/8 inch Gumball Green Stitched Satin ribbon. 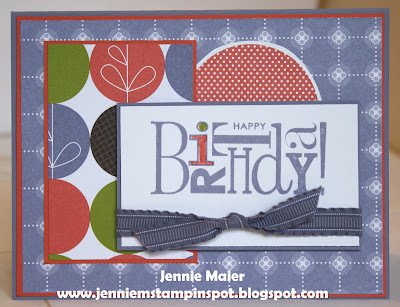 I used the layout from this card here. 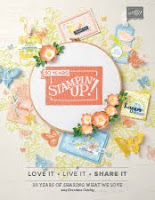 I just updated it and used the Bright Blossoms and Petite Pairs stamp sets. I got my pre-order and with it came the new In-Colors: Gumball Green, Midnight Muse, Primrose Petals, Raspberry Ripple and Summer Starfruit. On this card I used Gumball Green, Midnight Muse and Summer Starfruit. I also used Betsy's Blossoms again and Curly Cute. The ribbon is new too-Gumball Green 3/8 inch Stitched Satin. I Stamped! 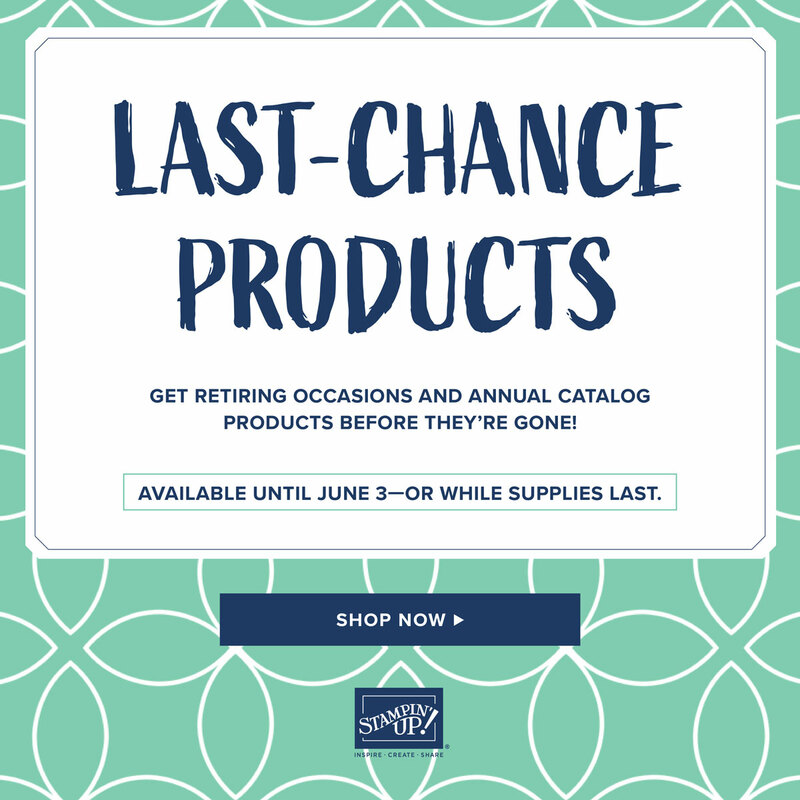 And with New Catalog Goodies! 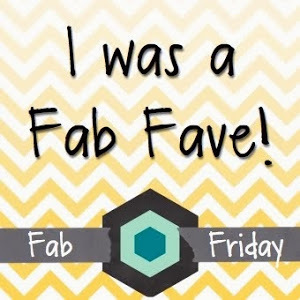 I'm baaaack! It's been WAY too long since I've gotten to stamp, much less post a card I've made. But lucky me, I've been working part time and that really interferes with my stamp time. I've had some days off lately and just got my pre-order of new catalog goodies so I had to make something! 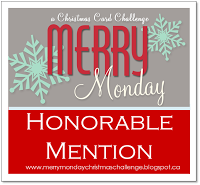 I used the MojoMonday Sketch#241 here for this card. The DSP is from the new Floral District DSP. 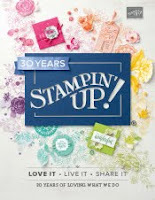 The stamp set is the new Betsy's Blossoms. And the ribbon is the new Daffodil Delight 1/4 inch Stitched Grosgrain Ribbon. I truly hope to post more regularly cuz I've really missed creating things!